SME Gateway was established in 2003 with the sole objective of providing SMEs direct access to Defence and Government panels including commercial business opportunities. We deliver all projects through a proven management structure utilising our Australian “SME companies” as a subcontractor base (including indigenous entities). This is executed through delivering a wide range of services to government agencies by consolidation/collaboration of SMEs capability through a single source “Tier 1 effective prime”. Management, operational support, control, governance and single point of contractual responsibility are key considerations as access without a valid support structure places risks of failure and resource limitations. Our membership base has expertise in a range of aspects relating to cyber security specifically in specialist detection, provision of facilities and the development of systems associated with security protection. These include: • intrusion detection; • secure software development; and • attack mitigation. Many of our members are ex-military and as such have a substantial background in this field. They also possess a significant passion in ensuring the fundamentals of sovereign security and as such provide a level of professional service that has been thoroughly trained, contemporary and in the environment required to protect. SME Gateway’s value proposition lies in the distinctive ability to provide fundamental input to capability across a wide range of skill sets, and does so in a number of very niche areas. SME Gateway is a unique organization with a structure designed to provide Government Agencies low risk access to a broad range of Australian SMEs and specialist recruitment agencies, while providing our SMEs the opportunity to grow and develop their Government business. 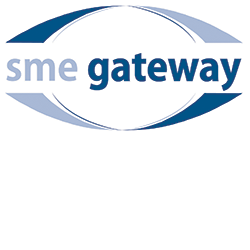 SME Gateway is a trusted, well recognised, performance and delivery brand across a wide range of disciplines offering the breadth and depth in a risk free construct.